Newspaper reporters Jerry Wolanski, from Cambridge, Massachusetts, and Susan Wong, of Toronto, Ontario, are both sent to Akron, Ohio by their respective editors, tasked with writing “fluff” Halloween pieces about Helltown. They happen to meet under bizarre circumstances in a cemetery, and decide to join forces. Soon they find themselves experiencing first-hand Helltown’s reputation for horror, intrigue, and the supernatural. Along the way, Jerry and Susan meet up with a pair up of unlikely allies: Astarte, a New Age bookstore proprietor who practices witchcraft, and her ex-husband, Frank, a retired police detective turned private eye. 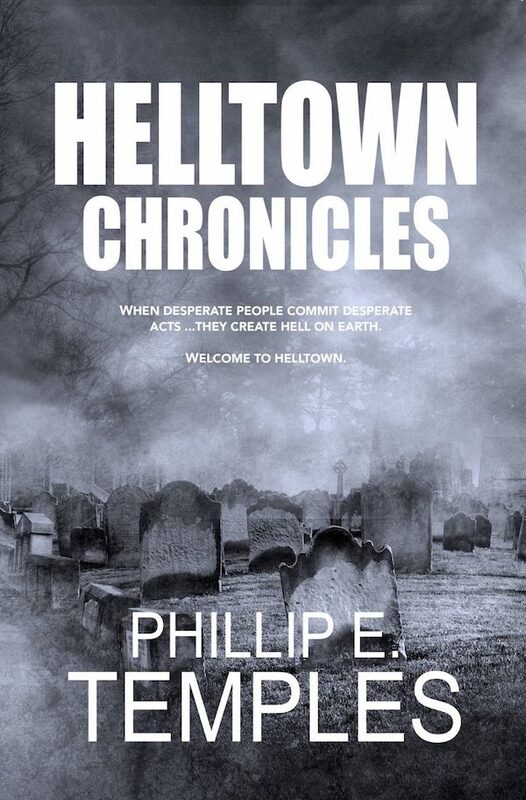 With Astarte and Frank’s assistance, the reporters chronicle Helltown’s sagas and–in the process–must destroy a malevolent force that they’ve unwittingly unleashed before it destroys them.